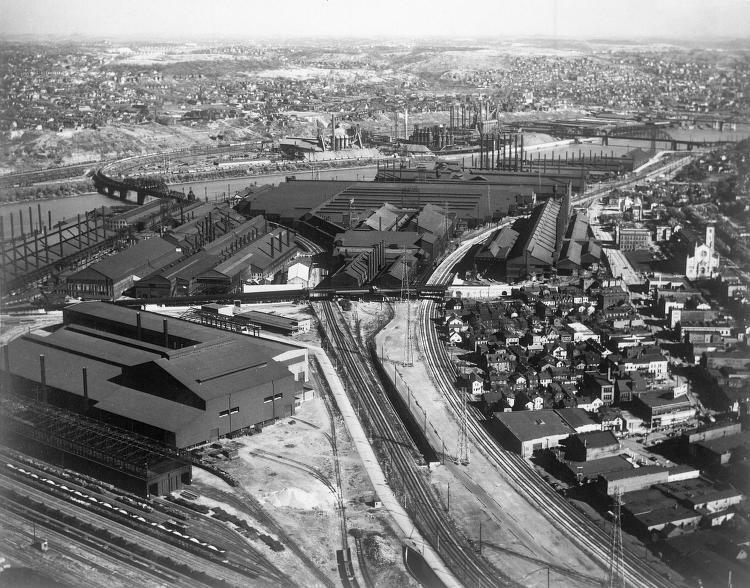 Aerial view of the Homestead mills and Carrie Furnace, Homestead, PA, 1950. In early 1900s, local officials kept tight control of the town of Homestead, refusing permission for labor meetings or speeches. The residents of Homestead regained the right of assembly and freedom of speech only after the great union organizing campaigns of the mid-1930s.